Grant Johnson and his mother, Alisa Johnson, asking Michell Williams for information on Lincoln University. 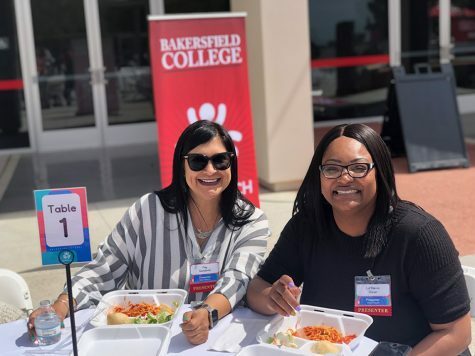 Bakersfield College kicked off Black History Month with a recruitment event from The Historically Black Colleges and Universities caravan on Feb. 13. The event allowed those from the Bakersfield area to apply to over 20 colleges in one stop. 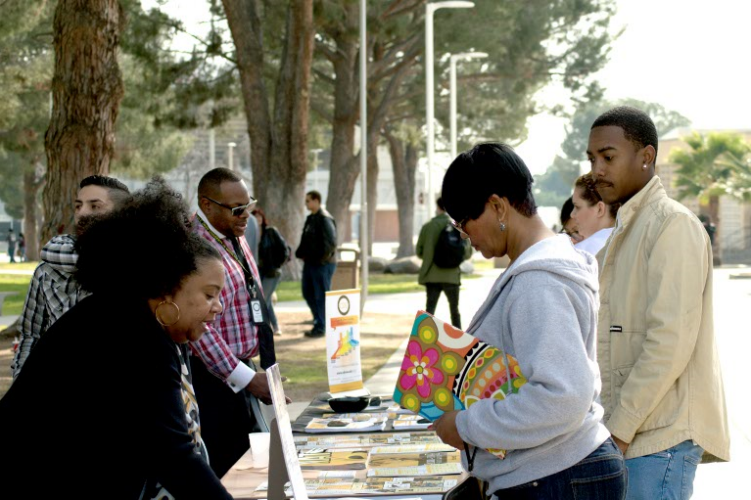 Many of the colleges are part of the California Community College Transfer Admission Guarantee program, which offers guaranteed acceptance to those transferring from California community colleges. Those who attended the event had the opportunity to meet one-on-one with recruiters in order to learn more about each HBCU and what they have to offer. Those who applied to the participating colleges during the event had the benefit of having the application fee waved and finding out if they’ve been accepted right on the spot. All applicants needed to provide was a copy of their transcripts. It is important to note that HBCUs aren’t just for those of African ancestry. Monroe Griffin, Assistant Director of Admissions at Cheyney University of Pennsylvania said, “Black colleges were established for access and opportunity. [Cheyney University] was established to serve slaves. 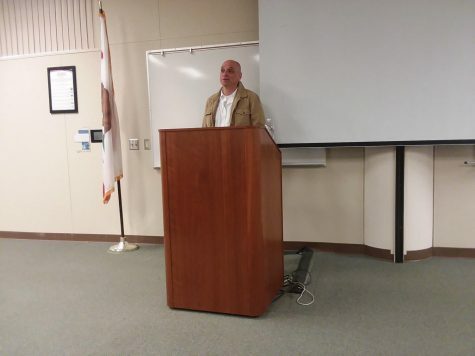 We served all of the underrepresented, and that mission is still relevant in the 21st century.” Many of the colleges participating in the event offered scholarships. Price also stated that she hoped to get at least 100 students accepted on the spot. One such student, Grant Johnson, who attends Stockdale High School, was immediately accepted to Lincoln University after applying during the HBCU event. He also received an $86 thousand scholarship. Johnson stated that he’s still looking into more schools, but that the HBCU event has made the application process much easier. History of Americans of African Decent: A Black History from Feb. 13-16, and Moon Over Malcom Feb. 16 at 6 p.m. in the Bakersfield College Indoor Theater.